One of the saddest things for our Rest Homes team is seeing the health of a resident deteriorating month by month. However, it is also a joy to be able to support and encourage these saints in their faith until the end. In one home the team visit a resident who is a regular to the services. The resident suffered a stroke a few months ago, and therefore the team have been visiting him in his room. Yesterday Bev spoke to his daughter and she told her how he has been going downhill, and although she thought he recognised her, he wasn’t able to speak. Bev told her that they would pray with him and she was pleased. As promised the team went to his room after the service, and Bev prayed a simple prayer. As she did so his eyes were fixed on her and as she ended, he joined in with an amen. When Bev told the activity coordinator he had said amen she was amazed as he hadn’t said anything for weeks. Bev says: “I never fail to be moved when I see God working in this way with people responding to him in defiance of their medical condition. We should never forget that God touches people and they respond even when in human terms there is little chance of a response”. What an awesome and encouraging story! If you would like to join Bev and the team visiting Rest Homes across our city, please e-mail office@bhcm.org.uk stating you would like to volunteer in our Rest Homes team. Mike has been with us for just over a month so we caught up with him to see how he was getting on. 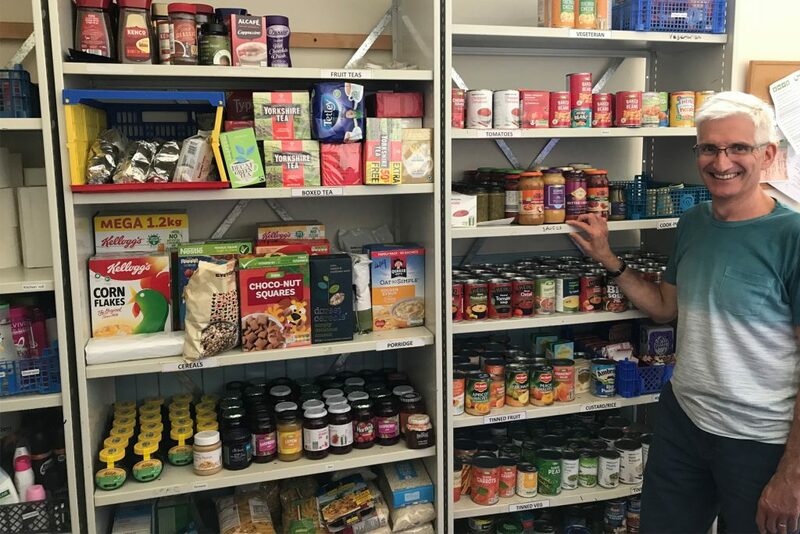 “I have now been in my new role for over four weeks and I am loving working at Brighton Food Bank. Having been in work for over 30 years, this is the best job ever! It is extremely special to work in a Christian environment. The volunteers we have are truly amazing. It would be great to add to our food bank volunteer team. I would be delighted to show people, who are interested in volunteering with us, around the food bank so they can see if it is a working environment that would suit them. I have been amazed by how generous our supporters have been, from church congregations to individuals giving via supermarkets or just ringing our door bell. Our clients are very special people, all of whom have been referred by agencies. We fully appreciate how difficult it is for our clients to come to us and therefore we want them to feel extra special during the time they are with us.